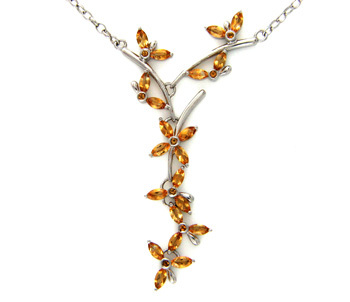 A stunning Citrine 925 Sterling Silver 'Flower and Butterfly' Necklace finished with rhodium polish. The necklace is set with round and marquise cut citrine stones in a contemporary design. The necklace is 16" in length.